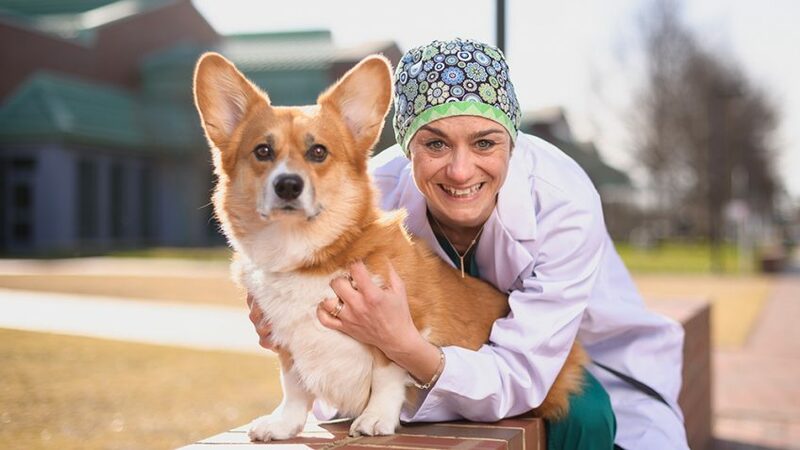 Ludovica Chiavaccini, a clinical veterinarian in anesthesiology, has always wanted to work at NC State. 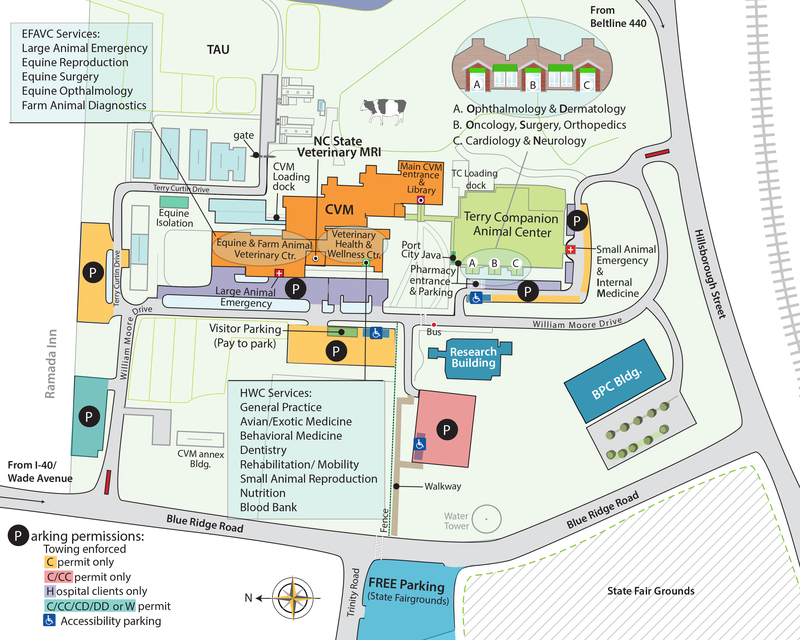 She loves the academic setting, the North Carolina weather and the Research Triangle Park area. With a background as an equine vet, the strong program at the NC State College of Veterinary Medicine makes it one of her favorite institutions. Originally from Leghorn, Italy, just off the west coast, she really feels at home here. Even though she and her husband Massimo, an executive director for Hewlett Packard Enterprise, enjoyed living in San Francisco and Silicon Valley, they felt like NC State and RTP offered a perfect opportunity to grow as professionals in one of the top-ranked places to live. I decided to be a veterinarian at 11 years old. My uncle is a veterinarian and my dad, who’s an engineer, says that is why I wanted to become one. My dreams of becoming a ballerina faded away and I wanted to become a veterinarian. I just woke up one morning and I just knew. My new role is mostly clinical, meaning I’m working on clinics with students. I really love teaching students and residents, something that I didn’t get to do in private practice. Teaching really makes my day. I’ll also be involved in clinical research and studies in small and large animals, but mostly equine. I’m interested in local regional anesthesia and managing acute and chronic pain in horses and other animals. If you couldn’t tell already, I love being at an academic institution. It’s a stimulating environment where you can learn from your colleagues every day. I also get to do a little bit of everything in this role, so I never get bored. From small animals to large animals, I get to work with every species. It really keeps me on my toes, and I couldn’t be more excited. I graduated from veterinary school in Italy and worked one year in Belgium and one year in France. I came to the United States 11 years ago for my master’s at Colorado State University. Then I spent a year in Canada and came back to the United States for three years for my residency at Mississippi State University. I completed my fellowship at the University of California-Davis. Then I worked as a clinical assistant professor of anesthesia at the University of Pennsylvania in Philadelphia before getting married and moving to San Francisco. But I missed the collegial atmosphere when I was in private practice, so after five years living apart both my husband and I now have jobs that we love and that allow us to live under the same roof. We have it all! I love to go hiking with my dog and I love to try new restaurants. My husband and I are foodie people. We like to try a new place each week. I also love cooking, especially Italian food, seafood and vegetables. I’m really getting into Brussels sprouts right now. I also hope to get back into horseback riding, something I’ve wanted to do for a while. I’m a pretty open book, but people might be surprised to learn that I was the 1998 regional ski champion in my area of Italy. I still go skiing once a year and tend to go back to Italy to ski. I also like skiing in Colorado. I have a Welsh corgi named Italo. He’s actually from California, but he’s very patriotic. He loves to wear his scarf with the Italian flag. He’s a well-traveled corgi and goes with me everywhere. He’s also in all my lectures.